CALGARY – Suncor Energy published its fourth quarter numbers that included an oilsands record – 740,800 bbl/d – thanks in part to its interests in the Fort Hills (53%) and Syncrude (100%) operations in northern Alberta. Funds from all operations were approximately $2.0 billion in Q4 2018, compared to $3.0 billion for the same quarter a year earlier. Cash flow was up – to $3.0 billion in Q4 2018 – compared to a year earlier when it was $2.8 billion. Operating earnings were $580 million, but the company recorded a net loss of $280.0 million this year. In Q4 2017 the company had operating earnings of $1.3 billion and net earnings of $1.4 billion. Total oilsands production reached a new high for Q4 of 740,800 bbl/d, close to 90,000 bbl/d higher than the previous record. The output growth was attributed to reaching 94% plant utilization at Fort Hills and record production at Syncrude. 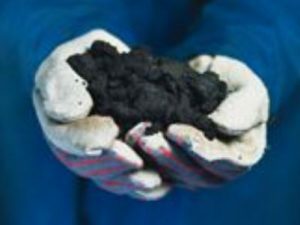 Learn more about Suncor’s oilsands expertise at www.Suncor.com.